While such a prediction may have raised eyebrows only twenty years ago (we should know, we started publishing tourist guides to PL in 2000), today Poland has established itself (with our help, of course) as a bona fide tourist destination - a fact not lost on the flocks of weekend breakers who descend each weekend on its marzipan Old Towns. Taking pride of place is Kraków, with it's enormous market square, castle and UNESCO-listed city centre, but Gdańsk, Wrocław and Poznań have each established themselves as fixtures on the backpacker map, thanks to historic centres that could well have been designed by a team consisting of Hans Christian Anderson and the good Mr. Kipling. Even Warsaw, once famed for its bleak, desolate boulevards, has generated a reputation as one of New Europe’s liveliest capitals. So what of Katowice then, or the region of Upper Silesia as a whole? A quick glance around is enough to suggest that works by Da Vinci will be tough to find here, so it’s with a fair degree of astonishment that most visitors learn that the Silesian landscape – dotted with its derelict factories and overgrown slagheaps – is something of a tourist goldmine (emphasis on 'mine'). Transformed by the Industrial Revolution in the second half of the 19th century, what had previously been an idyllic rural backdrop suddenly found itself the focus of corpulent industrialists looking to make their fortunes from the coal and steel discovered here. Up went the factories and the chimney stacks, followed by huge migratory waves of people – both German and Polish – as everyone from balding fat cats to scruffy urchins looked to make coin and careers out of the newly discovered resources. From thereon the region took on the appearance of an L.S. Lowry picture, its fledgling cities filled with blackened buildings and shuffling matchstick figures. The scorched earth policy followed by Hitler in the final years of WWII did little to dent Upper Silesia’s industrial importance. The communist authorities knew they had inherited a veritable wealth of mineral riches, and set about exploiting them to the max. Quickly becoming an environmental black spot, the region was fast heading for ecological catastrophe, a fate only narrowly averted by the collapse of the political system in 1989. Somewhat amazingly, and thanks in no small part to the ongoing cooperation between local government and foreign institutions, the ecological balance of the area has been restored to safe levels today. What’s more, it’s now possible for the intrepid tourist to explore the very facilities that made Silesia – and nearly destroyed it. 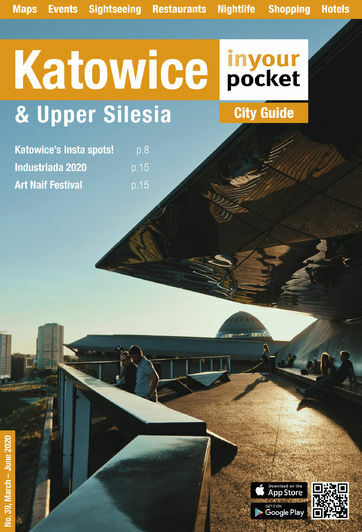 Below we list the most interesting industrial heritage sites throughout the region, but enthusiasts are urged to get hold of a copy of the excellent ‘Silesian Industrial Monuments Route' (Szlak Zabytków Techniki Województwa Śląskiego) - a multi-lingual pamphlet containing literally dozens of sites, which can be picked up for free in any Tourist Information points.